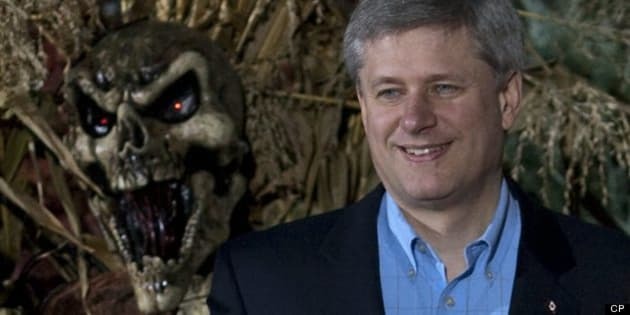 OTTAWA - The federal Conservatives have rescheduled their flood-delayed national policy convention to begin on Halloween. The gathering had originally been set to begin June 27 in Calgary, but was postponed as the Alberta city was under siege from floodwaters. It is now slated to run from Oct. 31 until Nov. 2. Officials say rescheduling the convention in Calgary reaffirms the party's commitment to the city and follows consultations with authorities and local businesses to ensure there is enough space for the three-day policy fest. In a statement, Conservative party president John Walsh says the biennial convention will help the Tories prepare for the next general election, scheduled for 2015. It will be held in the BMO Centre at Stampede Park.